The legendary Cher has today confirmed she’s heading to Ireland in 2019 for her first live show here in over 15 years. The multi-talented Oscar, Emmy and GRAMMY Award-winning icon, is set to delight Irish fans when she plays Dublin’s 3Arena on Friday 1 November as part of her Here We Go Again World Tour. Tickets will go on sale on Friday 14 December at 10 AM. 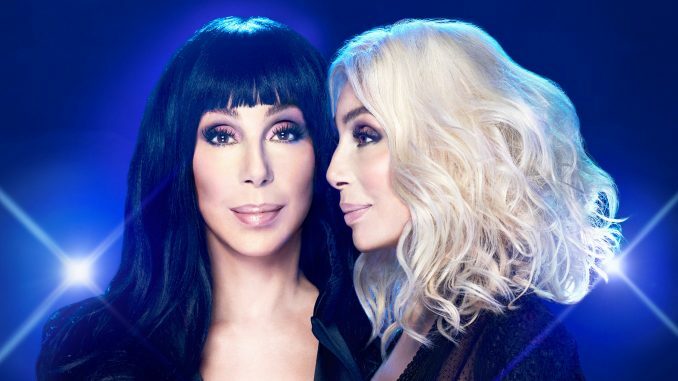 Cher, who holds the UK Record for the biggest selling single of all time by a female artist for Believe, will treat audiences to an array of hits from her huge repertoire as well as new songs from the Dancing Queen album – Cher’s tribute to the music of ABBA – which is out now. Following the recent global success and rave reviews for Cher’s role in the Mamma Mia 2 – Here We Go Again film, the multi-award winning singer, actress and show-stopping performer will be sure to thrill her fans when she arrives here next year. Launching her career in the 1960s as part of Sonny & Cher, the iconic superstar made unprecedented strides in what had long been a male-dominated industry and continues to reign supreme as one of the world’s greatest entertainers. A worldwide superstar for more than five decades, Cher has sold more than 100 million records and conquered more challenges than a handful of other talents combined – recording, concerts, film, Broadway acting, television and directing. In 2018, Cher returned to the big screen with a stunning performance in the mega-hit film Mamma Mia! Here We Go Again followed by the release of her new album inspired by the movie, Dancing Queen.